Michael Faraday was a British Citizen, born in the city of London in 1791. You would expect one of the most important scientists in history to have been educated at the best schools and a fine university. But you would be wrong. Michael Faraday was born the son of a humble blacksmith and left school before he'd completed fourth grade. When he was old enough, he was apprenticed to a firm of bookbinders. In every spare moment that he could find, the young man taught himself to read and began devouring every book he could lay his hands on. So he began educating himself. He read untold numbers of books while he was an apprentice. Through his reading he developed a fascination with science. Before long, he had studied some of the most serious academic works of his day. When he was twenty years old, he was able to attend the public lectures at the recently founded Royal Institution in London. The president of the Institution at that time was Sir Humphrey Davy. It was Sir Humphrey who had invented the famous miner's lamp. 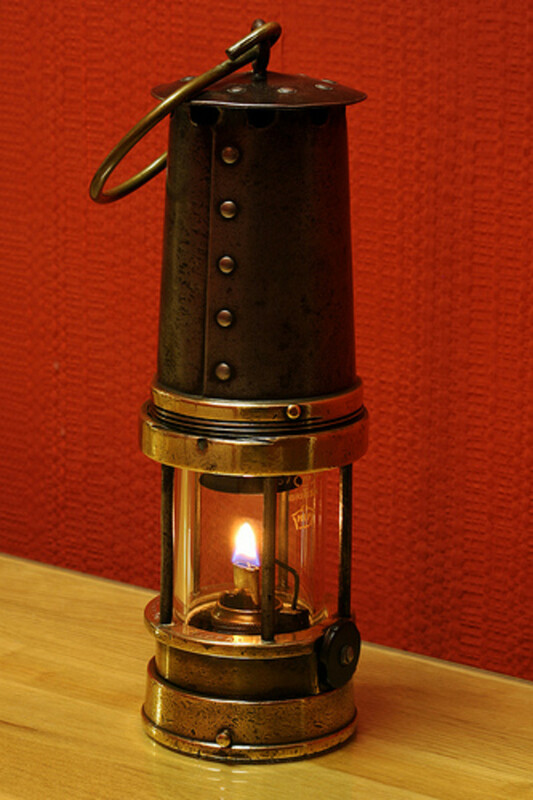 The Davy Lamp was especially designed for miners to use in underground atmospheres where there was the risk of flammable gasses being present. The lamp included a mesh screen which allowed gasses in so they could be burned but prevented the burning from spreading so they could not cause an explosion. While he was attending the lectures at the Royal Institution, he made lots of notes. Eventually he decided to send these notes to Sir Humphrey Davy. It was a wise move as on the basis of the notes Sir Humphrey offered him a permanent position as his private secretary. His genius was soon recognized and in 1813, at the age of just twenty-two, he was made Chemical Experimental Assistant for the Royal Institution. He became well known as an experimenter. He was particularly good at working out new experiments to test ideas, designing everything himself and sometimes even inventing and making new equipment. His lively imagination and enthusiasm led him to make many valuable contributions to the experimental methods of science. 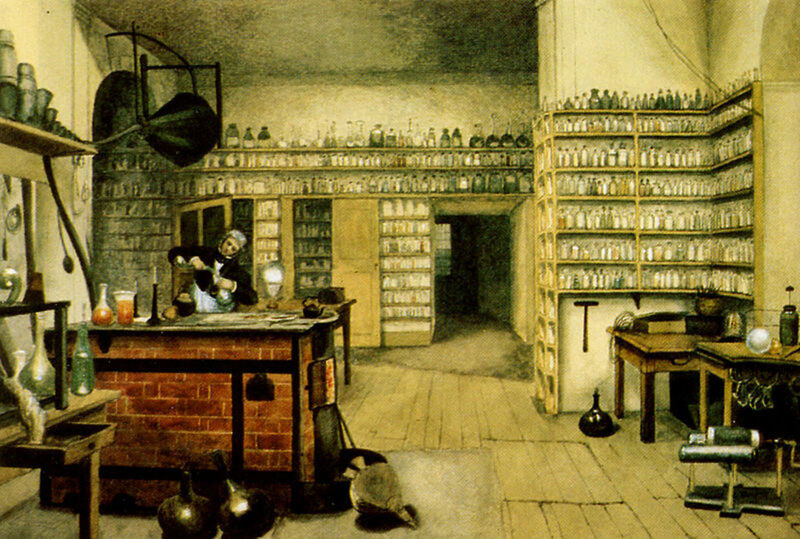 Michael Faraday's early work was as a chemist. He was especially interested in the effects and uses of electrolysis. 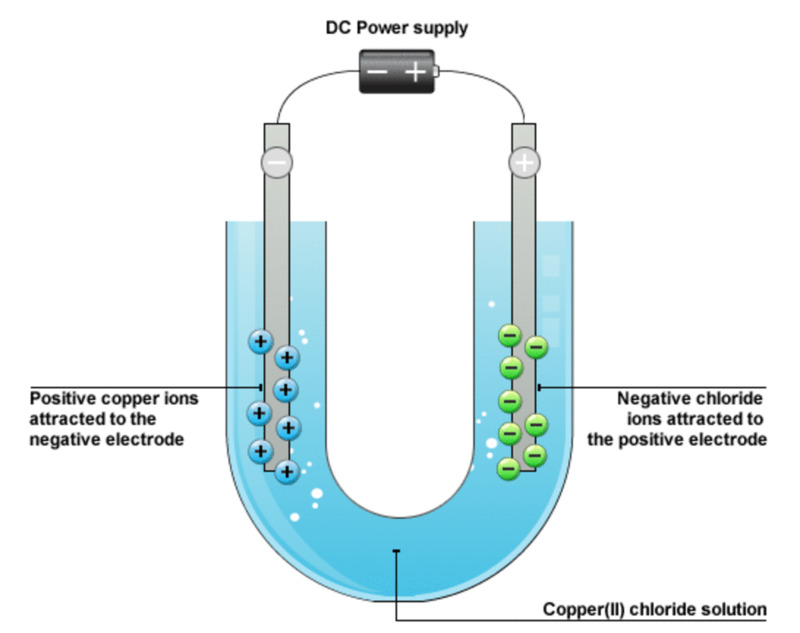 Electrolysis is a method of breaking down certain chemical compounds by applying an electric current. Modern calculations in electrolysis still use these same laws. Electrolysis is now widely used in industry, in the manufacture of many useful chemicals and gasses and in processes such as copper plating. isolated the chemical benzene - the basis of gasoline and other fuels. worked out how to liquefy the gas, chlorine - now widely used in the sanitization of drinking water and swimming pools and as a bleach in paper and cloth manufacturing. discovered the rotation of polarized light - which helps chemists measure the concentration of chemical substances. Michael Faraday's most important and lasting contribution to science - and all our lives - was the invention of the electric motor. Through his work with electrolysis, Faraday became fascinated by electricity and magnetism, which at the time were thought to be separate forces. Modern physicists now recognize a single electromagnetic force. Faraday realized that there was a connection between magnetism and electricity and that the two could act on each other to create movement. And the electric motor was born. Had it not been for Faraday we may never have had the electric motor. Just think of all the everyday items that have one: computers, washing machines, power tools, kitchen goods, toys, clocks, medical equipment, satellites... can you imagine a world without them? In many ways we owe the very shape of the modern world and the way we live in it to the genius of Michael Faraday. You can easily make your own Faraday Electric Motor simply using objects that you can likely find around the home or in the local stores. 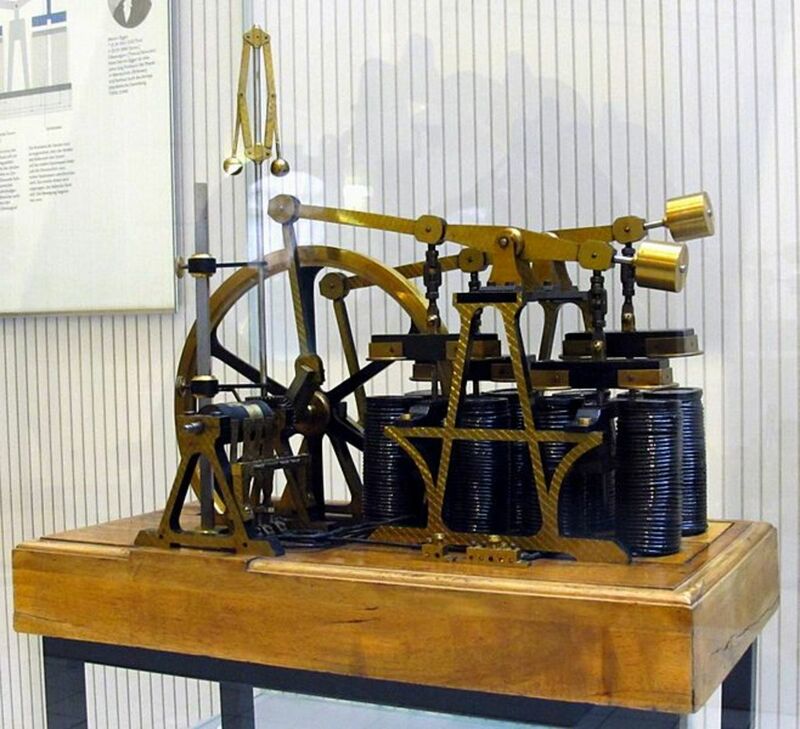 This is very similar to the motor that was first demonstrated by Michael Faraday back in 1821. Watch the following video which gives you step-by-step instructions on how to make a Faraday Motor. Keep watching after the demonstration for a full explanation of why and how it works. Faraday also discovered the process of magnetic induction which is the foundation of all modern electronics. 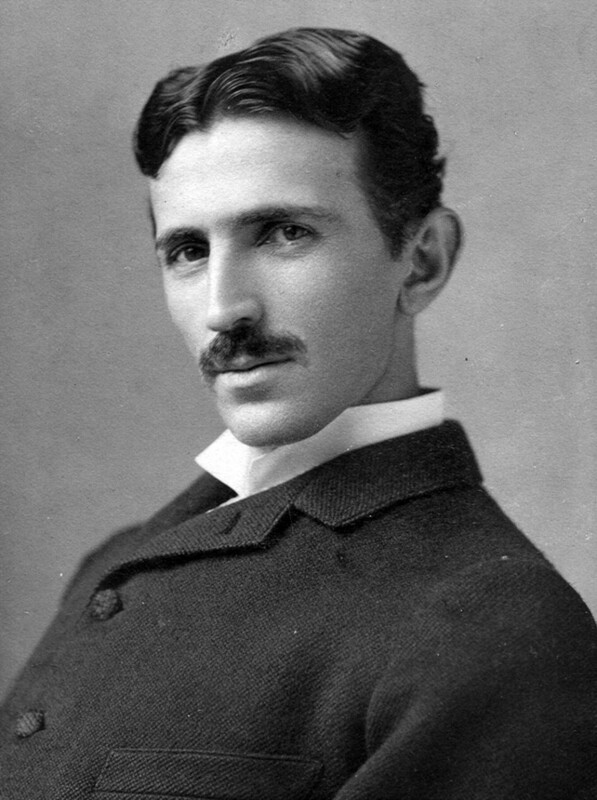 He was able to demonstrate that it was possible for one electric current to induce the generation of another electric current. 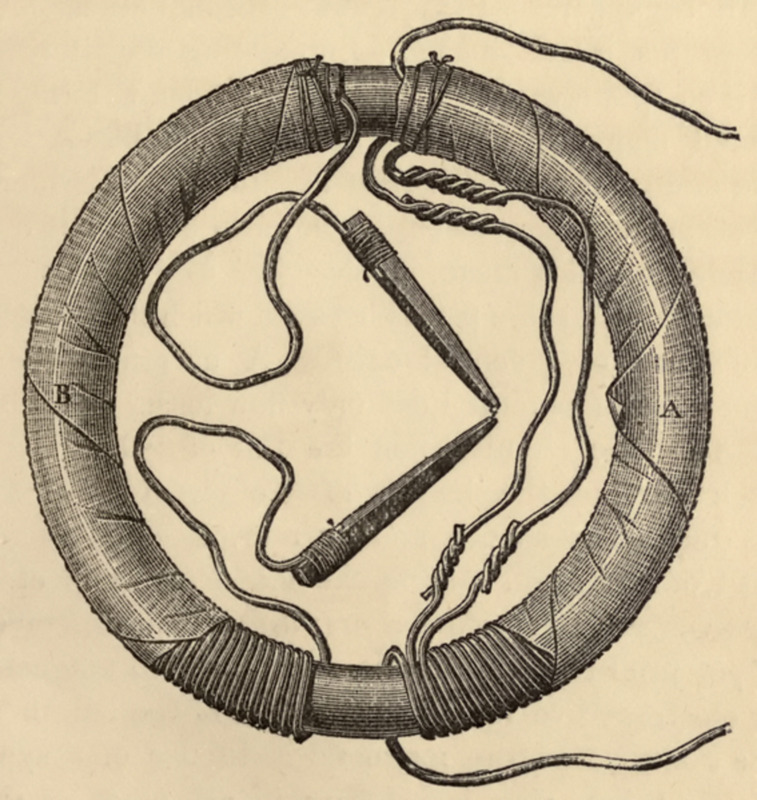 He invented a device composed of two copper coils - wire wound around an iron ring. If a current was passed through one of the coils, then a corresponding current would be generated in the other. 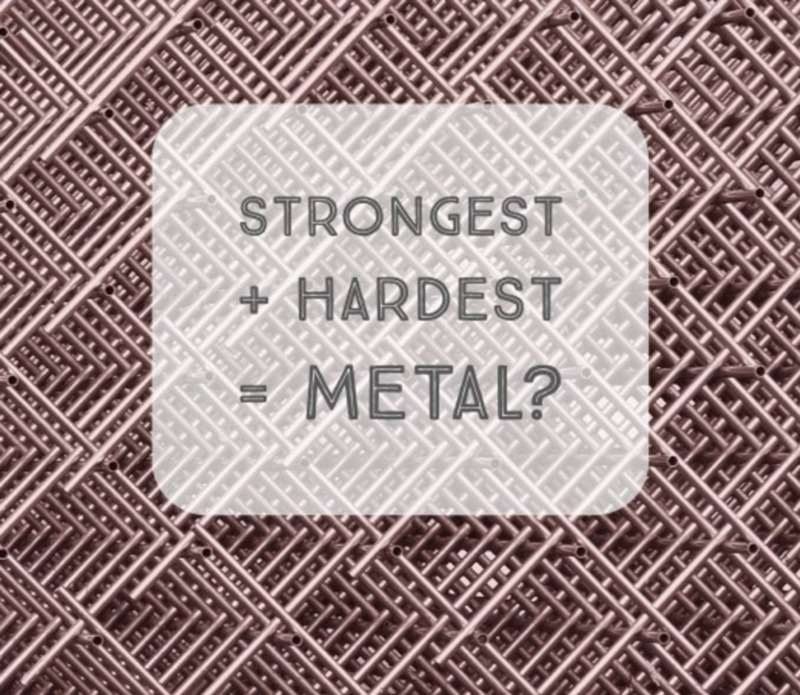 He then experimented with passing a magnet in and out of the copper coil. He found that doing this created a new current in the wire coil. He had invented the first dynamo. It is exactly the same principle that is used today in modern power stations. Michael Faraday dedicated his entire life to the pursuit of science and invention. However, he became a widely known and highly respected figure and was involved in many positive social causes connected to the environment and public health. 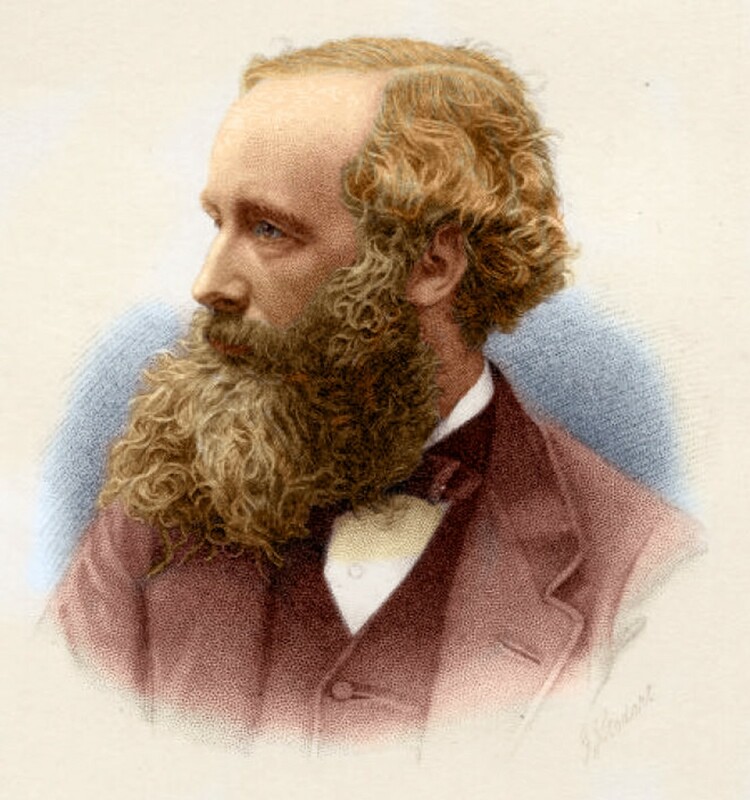 He was responsible, in 1885, for demonstrating the link between the polluted state of the River Thames and the incidence of disease epidemics across the city of London, which led to new policies ensuring the river's return to a healthy condition. The Thames is now one of the cleanest rivers in Europe. He also made a significant contribution to the design of modern lighthouses and many other things. Michael Faraday was also an engaging and charismatic public speaker. 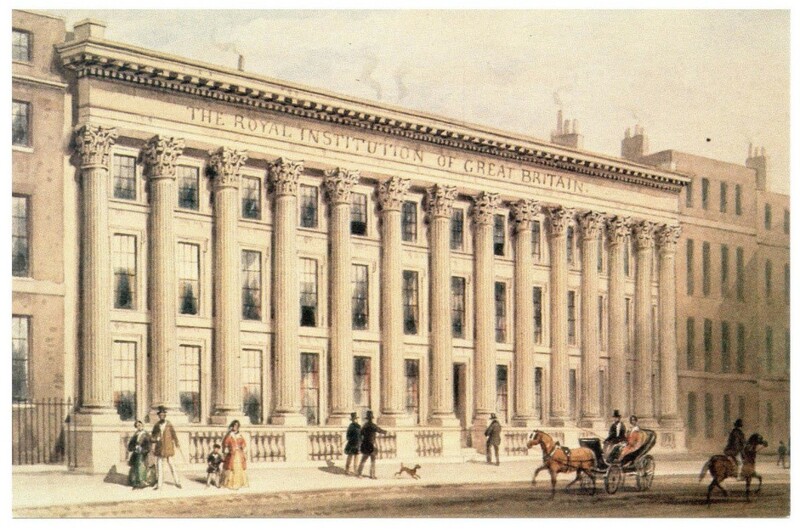 No doubt remembering how important the lectures at the Royal Institution had been for him as a young man, he began to give demonstration lectures especially for young people every Christmas. These proved very popular, and the tradition has continued long after his death. The annual demonstrations and lectures are now broadcast on television by the BBC and some of the greatest scientists of our own time from all over the world have given them. Michael Faraday was devoutly religious and a very humble man. In 1853 the War Office requested him to turn his talents to make chemical weapons for use in the Crimean War but he refused on grounds of conscience. He was also offered the Knighthood twice and both times he declined the honor. Despite repeated requests, he also refused to take up the role as President of the Royal Society. He died peacefully in 1867. His contribution to our lives is something that we see around us all the time. So next time you flick a switch and something happens, give thanks for the life of Michael Faraday. I really hope that you have enjoyed finding out about Michael Faraday as much as I have. He was an extraordinary man and made such a huge contribution not only to science but to every aspect of modern life. Below, there are some further resources if you would like to find out more about him and his work. Did you learn something new from this hub? Royal Institution Channel Collections - an amazing resource! Discover the life story of Michael Faraday the British 19th century inventor and electrical pioneer. I'd love to hear from you - leave a comment! Michael Faraday was an extraordinary man, for sure, I'm glad you found reading about his life and work interesting. This was a great overview of who Michael Faraday was as an inventor and human being. I learned several things, so thank you! Thank you so much. I'm delighted that you found this informative and helpful. And thanks for taking the time to say thanks - it means a lot. Thanks for your comment. I'm happy that you found it useful. Thanks for your comment. I don't know if the fact that he was self-educated is the reason for his genius - more likely that it was his genius that drove him to educate himself despite his circumstances, don't you think? That said, I home educated all my kids and I know it was the best thing for them. They're lovely and talented young people but I don't think that they will necessarily be more extraordinary than any other good kids because they were home-ed kids. But it is interesting, as you say, just how many great people of history - both men and women - are self educated. This was interesting. i was really interested to read that he was self-educated. It seems that most of the great people of history are when you look into it. Does that say something about great people or something about schools? Maybe both. Thanks for reading and taking the time to comment. Yes, he was an amazing person and I'm happy you remembered that there were many great women, too - although they are not as easy to find in the history books as the men. Couldn't have anything to do with who wrote the history could it? And I do agree that we should take pause and think about where everything comes from rather than taking things for granted. Very interesting Hub about an amazing person! We take so many things for granted that men and woman like him worked so hard to discover! Thanks stuff4kids! Thanks for your comment, that's great. I'm really glad that you enjoyed it and found it fun, interesting, informative and easy to read. A great hub! Congrats for you achievement of Hub of he Day. I found your hub, interesting, informative an so easy to read. Thanks. Thanks for reading and for your kind vote. So happy you found it informative. Voted Up for the informative hub. Thank you, chinared, that is so sweet of you! It's great that you enjoyed this hub so much and thank you for sharing it. Just as Faraday should be given credit where credit is due, so should you. Extremely informative and interesting hub which I voted thumbs up and interesting. Will share it with other. GREAT job, and thank you! Oh Paul, thank you so much! I can't tell you how much I appreciate your support. Yes, I hope it is useful to students. 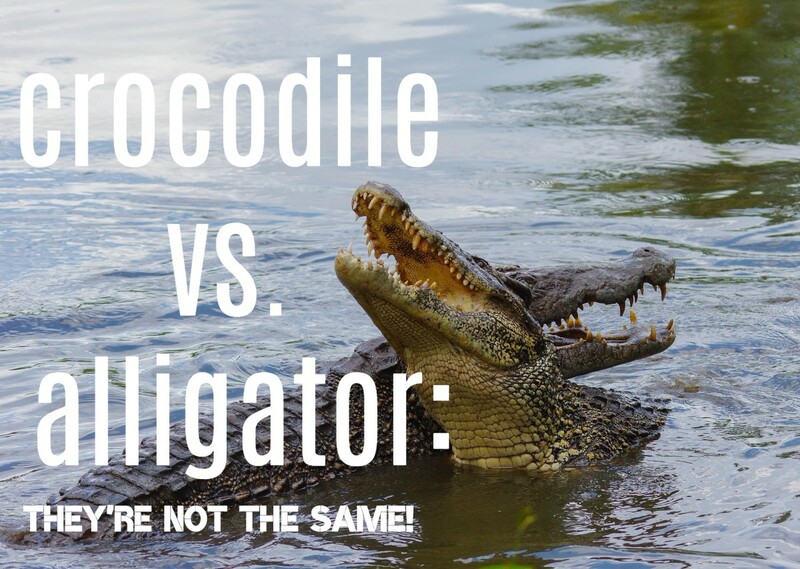 The idea with this series - an others to follow - is to give a good 'bite-size' introduction to a subject and then signpost the best resources to follow through. Congratulations on getting Hub of the Day. 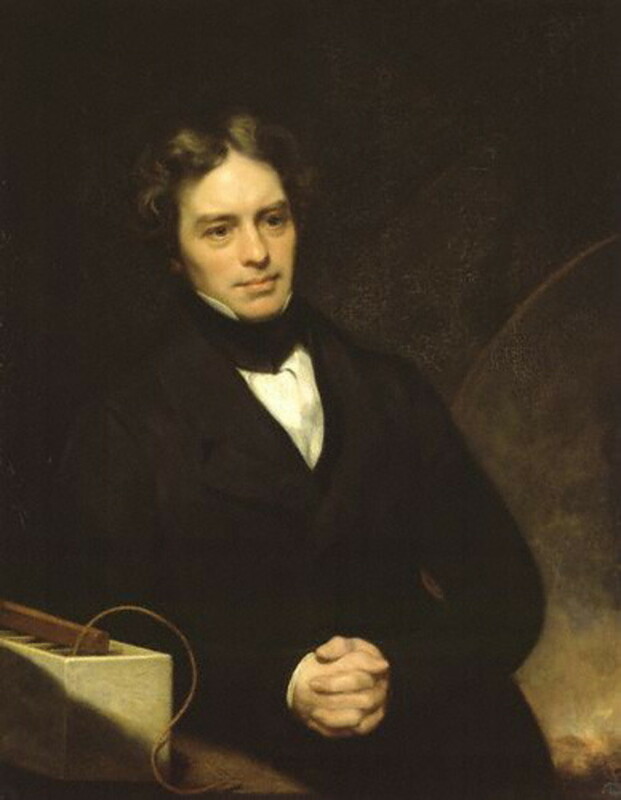 This is a great piece about Faraday and I really enjoyed reading it. You did an awesome job in producing this hub, and I think it will be great reading for all students or anyone interested in science. Voted up and sharing with followers and on Facebook. Also Pinning. Thanks, Tom, for your kind comments. I'm happy you discovered something new here too and i do agree that they were exciting times to live in - but so are our own. Some of the greatest minds in science that have ever lived are alive and working today. It is just that they will only be recognized tomorrow. Thanks for your lovely comment. I'm happy that you are a fan of this amazing man and his amazing achievements. Thanks for the congratulations! I'm so happy you enjoyed this. I think you make a very interesting and valid point, too, about his lack of formal education. It is definitely a trend among the greatest minds and most significant people in history that they either didn't go to school or didn't get on well at school, only flowering subsequently. As a home-schooler, I have always taken inspiration in that. Indeed, my own four kids are all well motivated kids with broad interests who know what they want to achieve in life. A lot of kids (maybe all?) need to be more trusted and allowed a deal more creative freedom to bring out the best in them. I am very happy that you enjoyed this hub and that it was interesting to you. I think Faraday gets more recognition in his homeland understandably, although the whole world owes him a great debt. From my childhood days, I was a fan of Michael Faraday and you have rekindled those thoughts by writing an insightful story about this great man. Most interesting, indeed. I'd heard of Faraday, but couldn't place him right off the bat. Then I remembered when reading your article. I did not know about his beginnings as a relatively uneducated youth. It seems that is a trait or condition shared by many of the great minds of history. What a well written in depth article about this awesome innovator from the past. 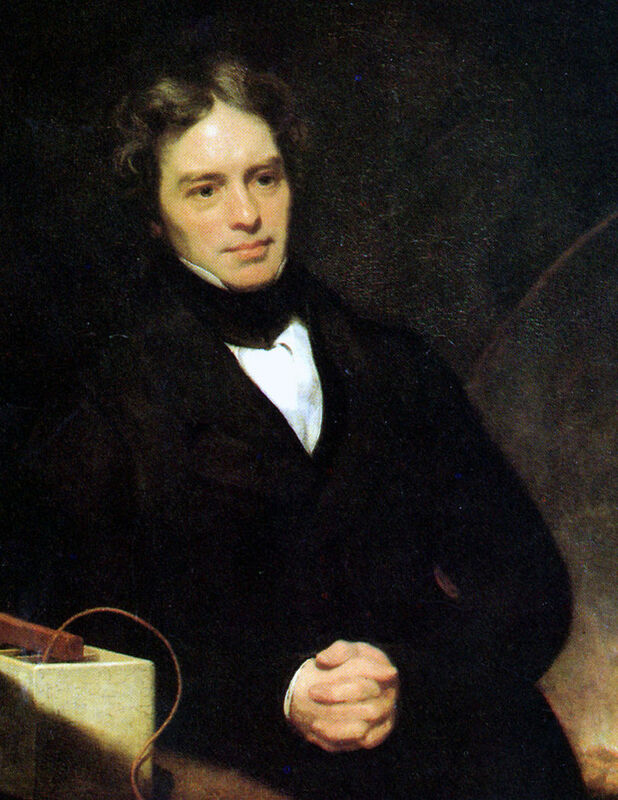 Inventors like Faraday need more recognition for the work that they accomplished and your hub does a great job of highlighting his life and work. Was a pleasure to read. Thank you for those kind words, really lovely. I'm glad you know more about Michael Faraday now, too! Amanda, congratulations on earning Hub of the Day! You certainly earned it with your subject and your content. This was so informative and well put together. I've heard of Faraday's name before, but obviously did not know enough about him, so thank you. Thank you for your comments, californium, you are very kind. I'm happy you found it informative and educational! it super fantastic, super educative and insightful. i only wish i can write like you, great one I'll share it . Your kind words are a great encouragement. I am happy that you enjoyed reading this and that you learned some new information about this remarkable inventor and gentleman. Very well written article. It was captivating from beginning to end. I never knew how interesting and important Michael Faraday was! Thanks for sharing! Thanks for your comment. If you want to find out more I hope the resources are useful to you. I know, it is just incredible how much we rely on electric motors for everything these days, isn't it? Nice introduction to life and works of a great inventor. I've got so much electric stuff even my toothbrush has a little motor in it I guess! Thanks for your comments and your congratulations! Certainly, Michael Faraday's Christianity was of great personal importance to him and a great inspiration for his life, as it is just the same to many lesser people and was even to Adolf Hitler, a devout Catholic. So many great people, of all faiths and none, have achieved so much (for good or ill) by way of whatever their deep-rooted values may be that it is always worth taking note of what a powerful motivator religion can be. In the end, as with any scientist, it was his intelligence, persistence and sheer ingenuity that made him stand out among his fellow Christians and indeed, among his fellow humans of whatever persuasion, whose personal beliefs clearly did not 'e necessitate' equip them with the required intellectual powers to do what he did. So glad to see Michael Faraday highlighted here and that your post now has a Hub of the Day award. Congratulations! Faraday's godliness makes him a hero of the Christian faith. Though many have tried to discredit him, his conduct stands for any who look at the historical record of his life and work. His approach to creation and all that it holds was consistently from the perspective that God's revelation of Himself in the natural world lined up with His revelation of Himself in the written Word. Today, scientists who follow Faraday's personal and professional examples of true Christian living stand apart (and above) the rest, just as he himself did. Carefully confessing his limitations, he lived such a life of faith and dependence on God through Jesus that even contemporaries who were not believers acknowledged that Michael Faraday's faith empowered every aspect of his life. Thanks very much for this reminder of a man who thought little of earthly rewards and awards as he pursued the high-calling of God in Christ Jesus. His early maturity in the faith allowed him to be a leader throughout his life and a paradigm for future generations. Hi pstraubie48 and thank you for your comments. These television dramatizations can be very helpful in bringing it all to life, can't they? Although, they can also change the real history a bit to make the story more exciting - so should always be checked for facts! I enjoyed doing the research and writing this so I'm happy you have enjoyed it, too. And thank you so much for sharing it, that's lovely to see! Great Information here and loads of research that you did. I voted up and am going to share it too. Yes, Michael Faraday is a very interesting and inspiring example for us all. Interesting Facts! I love Faraday. It's very kind of you to read this and make the effort to leave such a lovely comment. Thanks for your comments, you are very kind. I certainly wan not expecting this accolade! Good luck with your writing. I have much more time now than when mine were little like yours are but I am sure you can do it. I wish you every success. Thank you SidKemp for your kind comments. I totally agree with you about the qualities that made Faraday capable of such significant innovations. I really do believe that there is truth in what you say - any of us can make a difference and do our best. Even Einstein famously said, "It's not that I'm smarter than anyone else, it's just that I stick with problems longer." Now, there's a lesson in that for all of us, isn't there? This is a very well-constructed hub and would be a great template for any subject. Congratualtions. I loved reading this---it was full of fascinating information with a beautiful format. Congratulations on it being "Hub of the Day!". I read your profile as well and---as a fellow stay-at-home-mom-now-writing---wanted to give you a round of applause. :-) My children are 4 and 6 so the little free time here and there is where I'm trying to start my writing dream too. I think what is most impressive about Faraday is that it was his curiosity, his willingness to learn, and his commitment to knowing the truth through experiment that made him great and gave so much to the world. That is important because these qualities are universal - one does not need to be an Einstein, a one-of-a-kind genius to be a Faraday and make a real difference. I'm happy you found this hub interesting! You are right, that the actions of one, determined and inspired person can change the world - for worse and for better. But you don't have to be a genius. Each and every one of us can make a difference. His lab looks enormous doesn't it? I wonder how many bottles there are there? I don't know about you but I love science fiction just as much as science. It was the great science fiction writer Arthur C. Clarke who said "Any sufficiently advanced technology is indistinguishable from magic." So, I imagine that to many, the first electrical appliances must have seemed magical. Very intetesting. One person can change everything. Science is amazing. His lab looks really big, too. 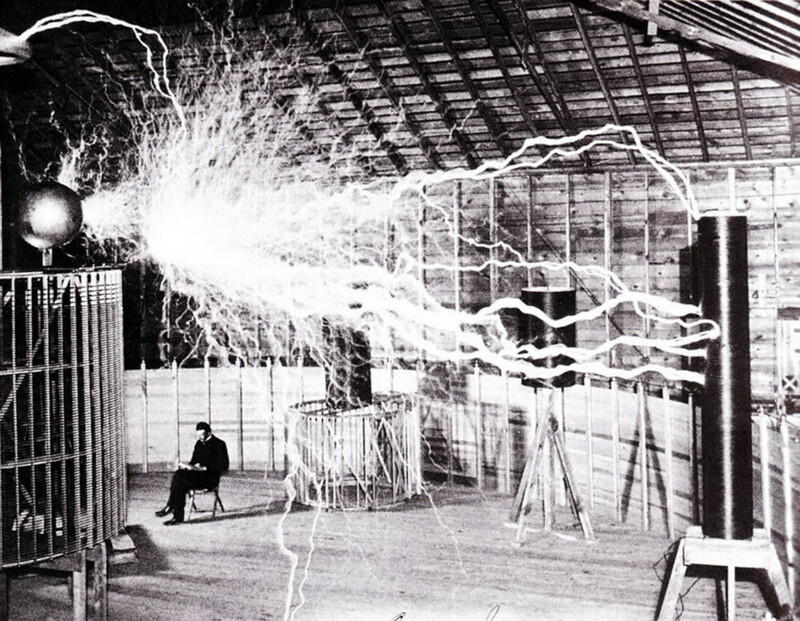 It must have been awesome when they first started using electricity. Like magic. Cool. A comment from The Royal Institution - that's an honor! Thanks for the wonderful link, the site and videos look really great. I'll add the link into the main article now, too. Thank you, Carol7777, so much for the votes and the Pin! That has made me so happy that you liked it. It was quite a lot of work to research this one even though I'd looked at this before with my kids it was more science than history. So happy that you liked this one. I think it's an awesome story and the motor is great to make with kids, they learn so much and the magic of science is never more compelling than when it is done at the kitchen table! What a fun and informative hub..this was a lesson in history for me. Well done and interesting to read. Vote UP and pin. A great look at one of the great minds in history. Very interesting and I loved the video on how to make an electric motor.